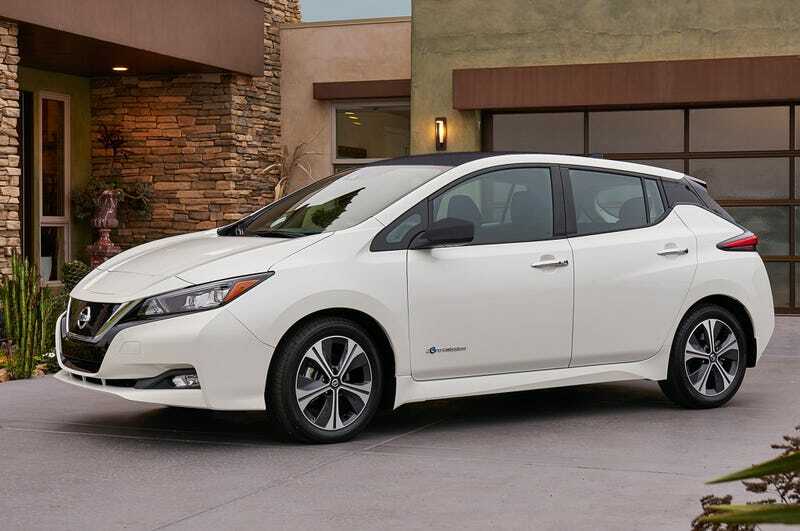 Was anyone aware that Nissan released the new Leaf? I wasn’t. I thought it had another month or so before it debut. Bored at work, I stumbled on Nissan’s site and there it is, and they are taking reservations for it. But yea, here it is, in all its EV glory. With incentives, it can be had as low as $22,490, without its $29,990. Top trim SL is $36,850 without incentives, or $29,350 with incentives. Its a little Bolt like in the rear to me, but overall it follows Nissan’s recent design language. It has 147 horses, 150 miles of range, Nissan’s weird and confusing new Intelligent Mobility accelerator pedal, something called Pro Pilot Assist that looks to just be a fancy name for radar based cruise control, and the usual apps that can connect to a smartwatch or phone to show you vehicle status. Charging wise, 1 hour will get you 22 miles with a standard 240v outlet, or 30 minutes at 50kw will get you 88 miles which I find kind of impressive. It remains to be seen if this will be a hit. I wouldn’t get it new though. I know I say that with a lot of cars, but Leafs can easily be found used under 10 and 15 grand. So wait it out maybe 3 years and you will have a nice second commuter car if you can fit an EV into your life. What do you guys think of it?